This workshop is aimed at enhancing the personal management skills of the participants by developing their ability to manage stress. The goal of this workshop is to give the participants practical and applicable tools to ensure their personal development. 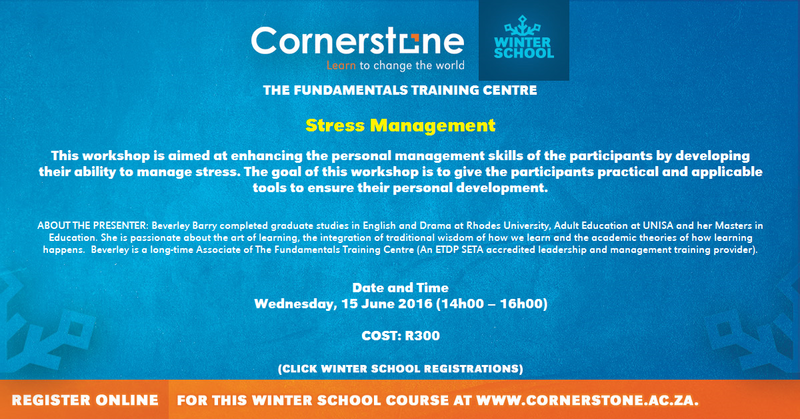 This workshop deals with understand what is meant by “stress.”; identify common stressors for young people; identify signs and symptoms of stress in people; identify ways to reduce stress; understand the consequences of living with too much stress for too long, and how the participant can develop stress management plans for him/herself.